Soon, phone enhancements will be possible by attaching modules - camera, battery, speaker - externally. Fad or trend? Phonebloks, by Dutch designer Dave Hakkens, popularised this concept three years ago, with the intention of reducing electronic waste by changing the way electronics are made. A modular phone lets you upgrade, repair and customise easily according to your need. Google's Project Ara was announced a couple of years ago based on the concept of extreme customisation. However, the company is now employing a more realistic approach. At the Google I/O 2016, it was revealed that the Ara frame will contain all the functionality of a smartphone plus six flexible slots for easy swapping. The frame will contain the CPU, GPU, antennas, sensors, battery and display, freeing up more room for hardware in each module. The frame will be built with durable latches and connectors to keep modules secured. Ara modules fit into any slot without having to reboot the device. They will be powered by Greybus - a software integrated deep in the Android stack - that supports instantaneous connections, power efficiency and data transfer rates of up to 11.9 gbps. Google claims that Ara modules are designed around standards, allowing them to work with new generations of frames and new form factors. Still in the works, the consumer version of the Ara phone will be available only in 2017. LG and Motorola have already gone modular. Earlier this year, LG launched its latest flagship modular smartphone LG G5, globally. The phone is priced at Rs 54,900 in India and the modules have to be purchased separately. The bottom of the G5 pops out with the battery, which can be removed and added to the new modules. For instance, the camera module offers a great level of hardware controls along with a better battery. There is also a Bang & Olufsen Hi-Fi audio module, which is a portable Hi-Fi digital-to-analogue converter (DAC) and headphone amplifier for music lovers. Swapping the bottom with a new module and rebooting the phone will add a new functionality to the G5. And because these modules enhance functionality, they come at a steep cost - a camera module costs Rs 6,500. Recently, Lenovo-owned Motorola also announced its first modular phone, the Moto Z, expected to be launched shortly. This flagship smartphone comes with the latest high-end specifications and Moto Mods - snap-on accessories that magnetically attach to the back of the smartphone with a 16-pin connector to transform the functionality of the phone. It has announced three completed mods - a built-in battery mod, an audio speaker mod from JBL with a built-in kickstand, and an Instashare projector mod that can project photos and videos up to 70 inches far with 480-pixel resolution. There is also a Power Pack mod that can add extra juice of up to 22 hours using a 2,200-mAh external battery. Unlike LG G5, these mods work seamlessly, without having to reboot the phone. Currently, both Motorola and LG are focusing on camera controls, music and battery mods. But the possibilities are endless. Moto Z's projector module is a great concept as it lets you create a personal home theatre by just snapping a projector mod to the phone. Going forward, there could be variations in camera modules as per the need - a wide-angle camera module, telephoto lens module or a macro lens module, accompanied by additional battery. Replacing the phone's display with an E Ink display for reading on a long flight could be a great idea, too. There could be a wireless charging module for charging the phone, a panic button module, kickstand, voice recorder module with a microphone, storing case module for mints or medicines, rechargeable solar units with battery and more. Modules such as highly sensitive sensors for measuring heart rate or blood sugar levels can become big in the healthcare space, too. Not just smartphone companies, but developers and accessory makers, too, are leveraging the modular phenomenon. LG has announced the SDK (software development kit) and HDK (hardware development kit) for its G5 modules. For Moto Z mods, Lenovo has announced a developer platform allowing developers to build the mod they want. The Lenovo Capital and Incubator Group is also offering an equity funding of $1 million for any individual or company that comes up with the best Moto Mod prototype by March 31, 2017. The developer edition of Project Ara is slated to be shipped this fall (September, most likely). As we buy apps from the Play Store today, there will be a marketplace for these modules as well. However, the fact that every company is working independently on this could pose a challenge. If modular phones have to get big in the future, there will have to be a standard in place. Having different modules for different phones could be confusing. According to Aymar de Lencquesaing, Co-president, MBG, Chairman & President, Motorola, it is too early to ascertain what kind of percentage modular phones will represent in the market, in future. But he is optimistic that the modular phones category is poised to grow. "These phones will provide consumers with the flexibility and luxury of having a phone with no compromise. They will get the performance of a high-end phone, which can be coupled with limitless modules that enable any functionality. We have just begun that journey and only scratched the surface." The key, he adds, is to make it incredibly easy from the user experience standpoint. "The industry story in general is that if you have a good recipe for success, if it answers customer needs and demands, then it starts to address different price points as well," Lencquesaing adds. How to take the perfect panorama shot and transfer apps between phones. Almost all smartphones allow you to capture panoramic images with ease, but keeping hands steady so that you don't end up losing the frame can be a task. 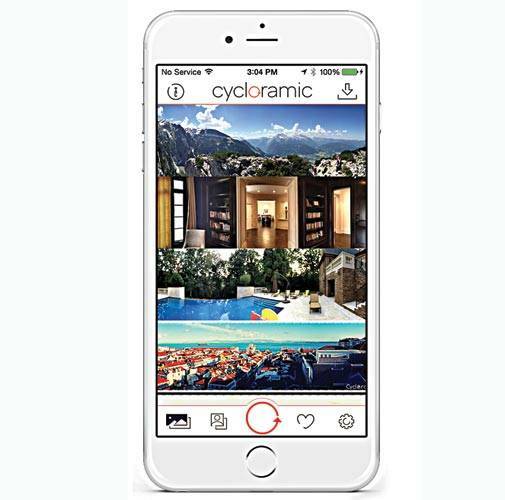 The Cycloramic app gives iPhone users a hands-free way to capture panoramic photos and videos. The Cycloramic app makes the various inbuilt sensors on the iPhone rotate automatically when the camera is in action. The iPhone when kept on a smooth surface rotates 360 degrees to capture the image. Once done, the app automatically stitches the image together and saves it. The image can also be viewed in 3D mode. In a similar fashion, the app can also record videos and convert them into Panoramic videos. It is compatible with only iPhone 4, 4s, 5 and the recently launched iPhone SE. If you have a cover snapped on to the iPhone, you will have to get rid of that as the device may fall if the rotation is not smooth. While this is one fancy app with great functionality, I noticed that the iPhone moved slightly from the location where it was placed. The image captured using the default camera app was better in terms of quality, but the framing was much better on the Cycloramic app. While many new smartphones come with a pre-installed software that can transfer contacts, messages and images between the old phone and the new, apps always need to be installed again. App Transfer Pro makes this task easy, and saves time and cost. It transfers Google Play apps over Bluetooth, email, Facebook, Twitter, Wi-Fi Direct and other modes. Just selecting the app and choosing the mode sends the .apk file to the other device. When I tried transferring a few apps over Bluetooth, the app took only a few minutes to transfer all the files. To run the .apk files, I had to change the unknown source setting in the Android device. However, when I launched these apps, I realised that the app data was not transferred. You can connect games to your social network account on the old phone and it will start on the same level when configured with the same social network account on the new phone. 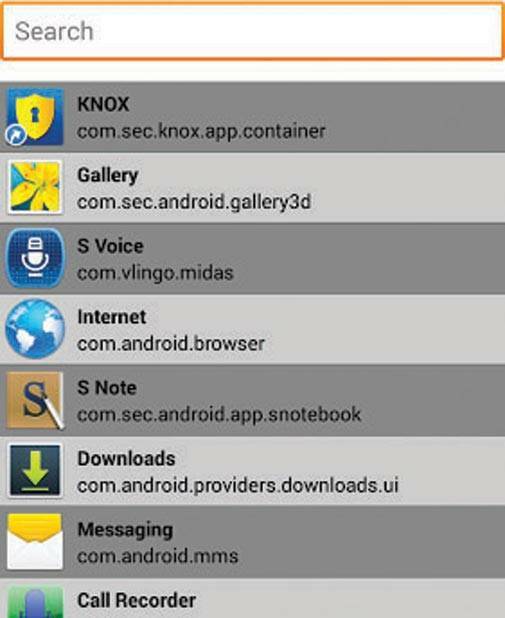 This app can also come handy if you need to install the same set of apps on multiple phones.